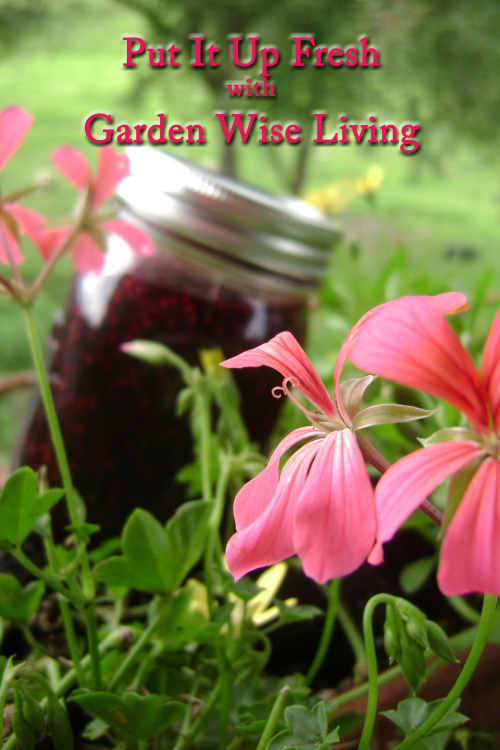 Canning and Preserving has been a way of life since I could stand on a stool and watch Granny make grape jelly. The smell of tomatoes stewing on the stove, or colorful jars of pickles and peppers lined up on the counter. These are very familiar and welcome smells and sights, that take me back to my child hood. Pumpkin Variety you wish ,as well as Winter Squash. Cut and Clean your Pumpkin, saving the seeds for Roasting. I do not remove the skin , it grinds right up in to the puree. Drain off the water and allow the pumpkin to cool . but a Food Processor or Blender would also work. another pot to get as much water out as possible. 2 Cups Dark Brown sugar. 1 Teaspoon Fresh grated Nutmeg. 1/2 Tsp Ground Ginger . Juice of 4 fresh Lemons. Pumpkin Pie Spice can also be used. 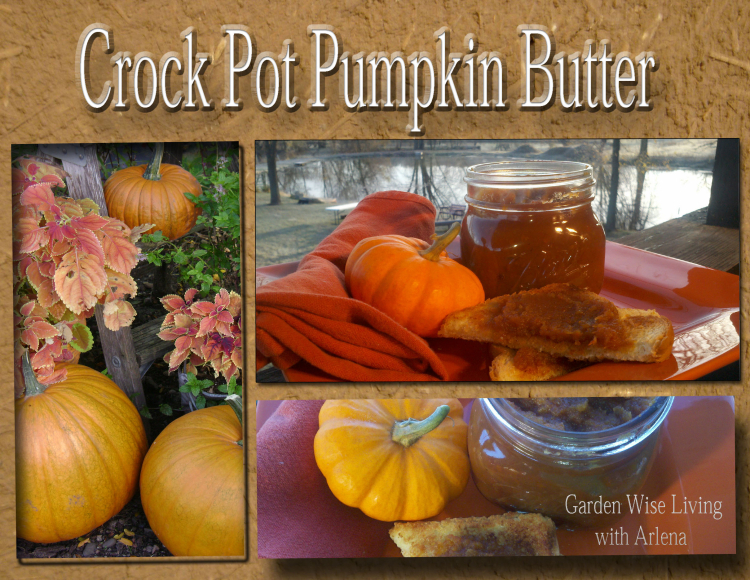 Crock Pot Pumpkin Butter is delicious and easy to make. Freezing Pumpkin Butter is recommended over canning . If you do can it please be sure to use it within 6 months. Ours never lasts that long. ntact and they are not cut in any way. make some for the Holidays !! YUM and Please Enjoy! 1 Wash the chiles, leaving the stems intact. Cut a cross in the tip end of each chile so that the vinegar will be able to penetrate the chile. 2 Heat oil in a large, deep skillet. Add the chiles, onions, carrots, cauliflower if using, and garlic. Fry over medium heat for about 10 minutes, turning them over occasionally. 3 Add the vinegar, salt, herbs, and sugar and bring to a boil. Lower the heat and simmer for 5 minutes for serranos or 10 minutes for jalapeños. Make sure the chiles are entirely cooked through before canning. 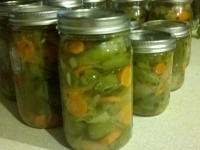 4 Pack 4 pint-sized sterilized jars with the chiles and vegetables. Top with the vinegar and seal. are one of my families favorites and so simple to make. Start out by blanching your beans just until tender. 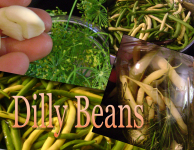 While your beans are blanching add a few peeled and smashed cloves of garlic along with several heads of Dill to your jars. Layer your beans vertically in the jar and top with a few more heads of Dill. Add hot brine made from 6 cups of Vinegar, 3 cups of pickling salt and 2 cups of water. Pickling Spice can be added if you choose. Fill to the top and seal with hot lids. 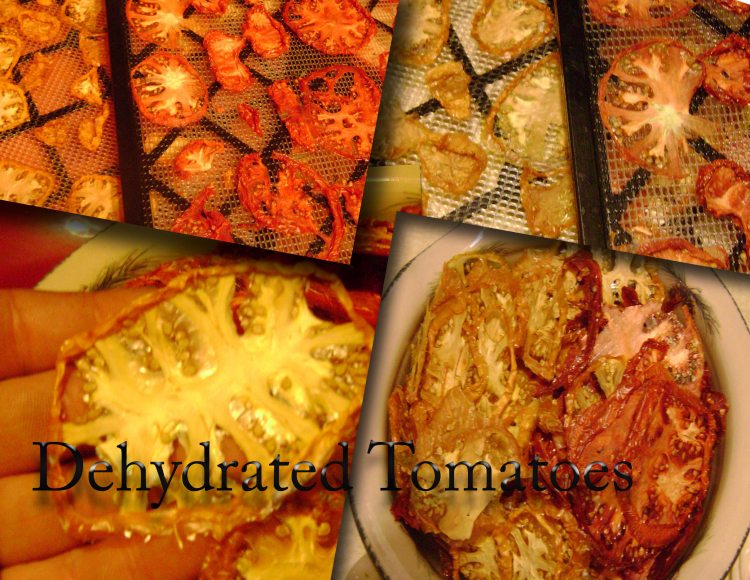 Dehydrating tomatoes is easy and delicious. the flavor is so intense! tomatoes ¼ -inch in thickness. It really doesn’t matter the variety they are all GOOD! 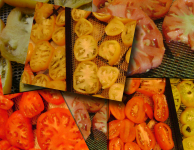 Yellow tomatoes make beautiful tomato chips. 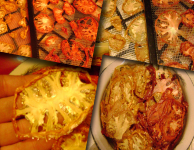 them back in the dehydrator. 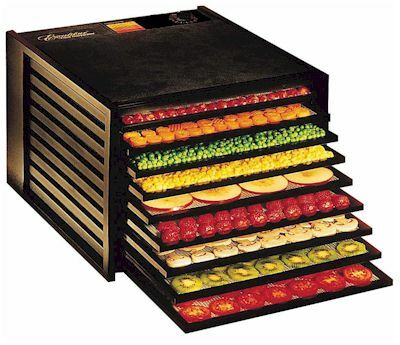 200 degrees will work just fine. 6 or so hours testing for dryness and wait. store in a Zip Lock freezer bag in the freezer. dried tomatoes out and resealing it.